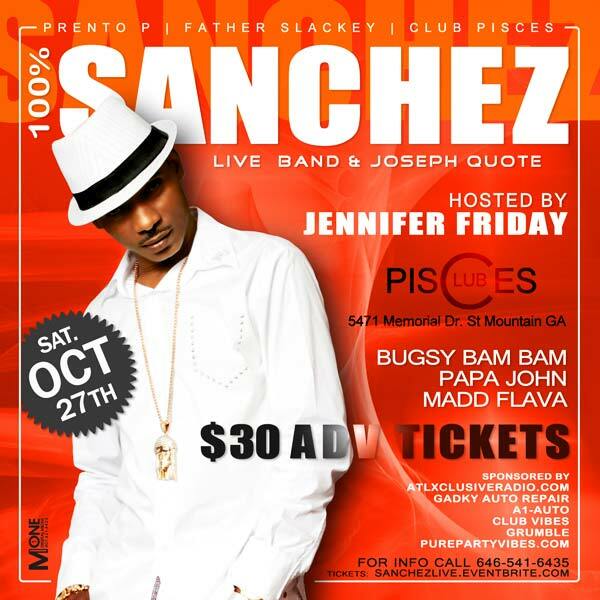 Saturday October 27th, Sanchez and his band are set to hit the stage at Club Pisces in Stone Mountain, GA. for one show only. The event will be hosted by Jennifer Friday, special guest performance by Joseph Quote, and music by Bugsy Bam Bam, Papa John, and Madd Flava. PURCHASE YOUR EARLY BIRD TICKETS FOR $20, ONLY ONLINE LIMITED AMOUNT !